The biggest thing for me, this past year, was teaching a seminar for Honors student at the University of Louisville in Queer Speculative Fiction. So, I did quite a lot of re-reading of texts with the intention of teaching them to some fresh young faces. We read theory and short fiction, but also several novels, including: The Left Hand of Darkness by Ursula K. Le Guin (1969), The Female Man by Joanna Russ (1975), selections from Octavia Butler's Xenogesis, Angels in America by Tony Kushner (1993), Fight Club by Chuck Palahniuk (1996), The Drowning Girl: A Memoir by Caitlin R. Kiernan (2012), some stories from my own Beyond Binary (2012), Rhapsody: Notes on Strange Fictions by Hal Duncan (2013), and Queer Theories by Donald Hall (2003). All of these are books I've read over and over again, but doing so with an eye to connecting them to the larger concepts of genre and politics in a classroom was immensely fun. I had a particularly enjoyable time watching students process the different approaches to similar issues taken by Le Guin and Russ; the juxtapositions between Angels in America and Fight Club were also productive. And of course, I read all of their papers and research and thoughts on the texts—almost more rewarding, truly. Otherwise, though, in my own time I read more young adult fiction than usual. I think this might have something to do with several friends and associates having books come out, but also, I took a distinct pleasure in the freshness and often-positive approach to interpersonal issues, loss, and desire that books written with a younger group of folks in mind tended to have. Because You'll Never Meet Me by Leah Thomas had a lot to offer—the epistolary style worked well for it. (And, bonus, if you were a fan of Pacific Rim and the characters of Newton Geiszler and Hermann Gottleib… Well. You'll see certain delightful similarities.) 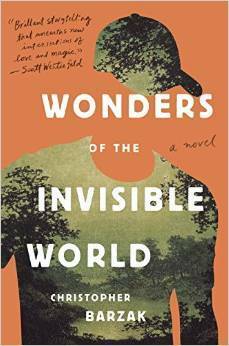 I also enjoyed Christopher Barzak's rust-belt magic realism and queer coming of age in Wonders of the Invisible World. Leah Bobet, too, knocked it out of the park with Inheritance of Ashes—that was one of my favorite books of the year, hands-down, for how it treats relationships. Plus, it has a really delightful plot and approach to the magic/science question. Otherwise, I caught up on some short fiction recently. 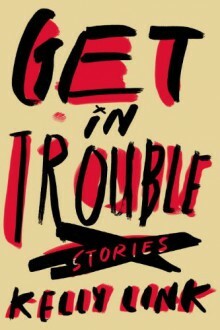 The new Best American Science Fiction and Fantasy series appears to be off to a strong start; I also read a few collections, like Kelly Link's Get in Trouble, that I very much enjoyed. I intend to get back into reading the short stuff more again, having finished teaching. That'll eat up a lot of a person's free hours, when they're also working a full-time position too like I have been. As for other media, the conclusion of Hannibal—which I wrote about here last year—was everything I could have dreamt up. It is a tragic and awful love-song of the highest order, and the primary couples in the end are all queer, so: take that, network television. Beautiful and terrible, this show. I'm a bit sad to see it go, but the ending was exactly right. I also took a great and amount of—very different—pleasure in Mad Max: Fury Road, for its treatment of women and violence and relationships. Plus, it was the car-chase-desert-war-metalcore-thrash-fest movie of my best hopes. Sometimes, that's all I need. Music was, to be honest, more of the same: still stuck on The Wonder Years and trying to piece together a path through to the other side. I saw them perform live in Chicago, and that was truly a pleasurable experience; moreso than the first time I saw them, last year in Cincinnati. I'm looking forward to the forthcoming Brand New album as well—but that'll be for next year. Best wishes for all the readers and listeners and watchers out there: see you again next time. Brit Mandelo is a writer, critic, and editor. She has been a nominee for various awards in the past, including the Nebula, Lambda, and Hugo; her work has been published in magazines such as Clarkesworld, Tor.com, Stone Telling, Apex, and Ideomancer. 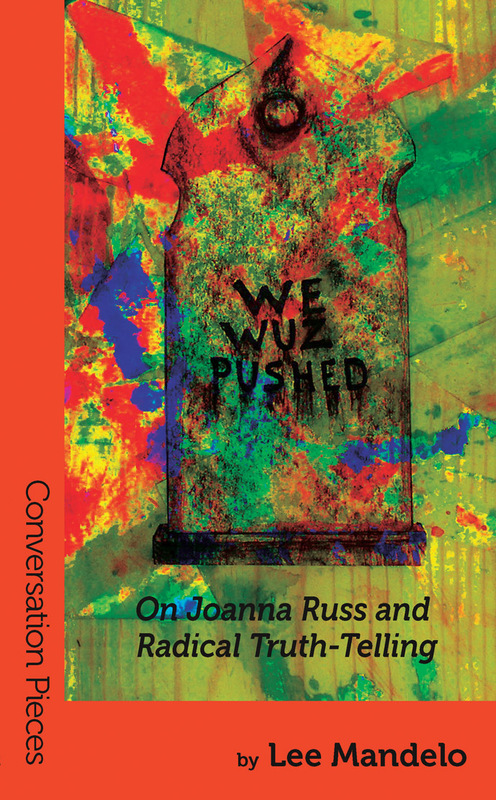 She has published two books, Beyond Binary: Genderqueer and Sexually Fluid Speculative Fiction (Lethe Press, 2012) and We Wuz Pushed: On Joanna Russ and Radical Truth-Telling (in Aqueduct's Conversation Pieces series).